STEVE EMBER: Welcome to The Making of a Nation-American history in VOA Special English. Growing tensions in Europe and Asia created a serious conflict for Americans during the nineteen-thirties. Most Americans opposed the Fascist or military leaders gaining control in Germany, Italy, Japan, and other countries. But they were not willing to take any firm action to stop this growing movement. Americans did not want to become involved in another world war. And they called on President Franklin Delano Roosevelt and their representatives in Congress to remain neutral in world affairs. But aggression by Germany and Japan finally would force Americans to choose between their love of democracy and their desire for peace. The first challenge to America's policy of neutrality came in October nineteen thirty-five. Troops from Fascist Italy invaded Ethiopia. Roosevelt did not feel neutral at all. He told his advisers, "Italy is dropping bombs on Ethiopia, and that is war." He sharply criticized the Fascist Italian leader, Benito Mussolini. Roosevelt issued an order banning Americans from sending arms to either Italy or Ethiopia. And he called on Americans not to send oil or other materials to Italy. Roosevelt's efforts to stop the export of oil and other products did not succeed. But the efforts by the White House played an important part in leading the League of Nations to take economic actions against Italy. Less than two years later, civil war broke out in Spain. 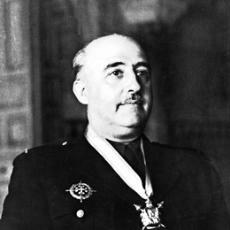 Spanish Fascists led by General Francisco Franco tried to overthrow the democratic government in Madrid. Some Americans went to join the democratic army in Spain to fight Franco. But Roosevelt and the Congress agreed that America should remain officially neutral in the conflict. In this way, Roosevelt was meeting the wishes of the American people by avoiding war. But personally, he was deeply troubled by the events in Europe. In a letter to his ambassador in France, Roosevelt wrote, "One cannot help feeling that the whole European situation is blacker than at any time in your lifetime or mine." Another challenge to American neutrality came in Asia. Japan launched a new invasion of China in July, nineteen thirty-seven. Within one month, Japanese forces gained control of what was then called Peking, now Beijing, and Tientsin. The United States had long supported the Nationalist forces of China. And many Americans were angry about the Japanese invasion. But Roosevelt and his administration once again refused to take strong actions against the aggression. For one thing, the American Navy was weak. There was little it could do to stop Japanese aggression thousands of miles away in Asia. And neither Roosevelt nor the Congress wanted to be first to break America's official policy of neutrality. Franklin Roosevelt made clear in private talks with friends that he understood the serious threat to world peace created by Adolf Hitler and other Fascists. He believed that the United States could not remain neutral forever if democracy was threatened in so many countries. However, Roosevelt did little to educate the nation about this threat. Instead, he generally followed the wishes of the majority of people who wanted America to remain neutral. Public opinion in the United States was strongly against any kind of involvement in foreign conflicts. In nineteen thirty-seven, Roosevelt made an important speech calling for the world's neutral nations to protect themselves from lawless Fascist nations. But many Americans feared that Roosevelt was trying to create a new alliance. And they opposed his efforts. A public opinion survey at the time showed that less than one in three Americans was willing to change the nation's strong neutrality laws to give Roosevelt more freedom of action. In the same year, Japanese planes sank an American gunboat in the Yangtze River in China. But few Americans showed any interest in going to war over the incident. Instead, they accepted Japanese apologies. Americans simply had no desire to fight. Most Americans honestly believed that the best hope for their country was neutrality. One of the most influential supporters of neutrality was Senator Gerald Nye of North Dakota. He told the New York Times in nineteen thirty-seven that there can be no objection to any action the government may take which tries to bring peace to the world. But that action, he added, must not tie the American people "into another world death march." He said: "I very much fear that we are once again being caused to feel that the call is upon America to police a world that chooses to follow insane leaders." Adolf Hitler's Nazi forces moved into the Rhineland in nineteen thirty-six. Two years later, they invaded Austria. And then, in the following months, Hitler began making demands on the government of Czechoslovakia. Britain's Prime Minister Neville Chamberlain was afraid that Hitler might start a general European war if he was blocked from gaining control of Czechoslovakia. In September of nineteen thirty-eight, Chamberlain traveled to Munich to discuss the situation with the German leader. The result was that Britain agreed to a German takeover of Czechoslovakia. Chamberlain returned to London promising "peace in our time." NEVILLE CHAMBERLIN: "The settlement of the Czechoslovakian problem which has now been achieved is, in my view, only the prelude to a larger settlement in which all Europe may find peace. 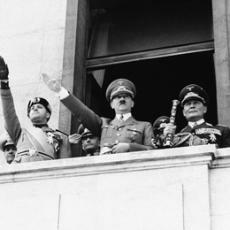 [Crowd cheers] This morning, I had another talk with the German chancellor, Herr Hitler, and here is the paper which bears his name upon it, as well as mine. [More cheers.] Some of you perhaps have already heard what it contains, but I would just like to read it to you. We, the German Führer and Chancellor and the British Prime Minister, have had a further meeting today, and are agreed in recognizing that the question of Anglo-German relations is of the first importance for the two countries, and for Europe. We regard the agreement signed last night, and the Anglo-German Naval Agreement, as symbolic of the desire of our two peoples never to go to war with one another again." The first reaction of most Americans to Chamberlain's Munich agreement was one of relief. But then, public opinion changed. Americans saw that Hitler's Germany now had control of central Europe. Japan was becoming more powerful in Asia. Chamberlain's weakness only served to show dictators that they could gain land and power through aggression and fear. Roosevelt warned Americans in late nineteen thirty-eight about this Fascist threat. "There can be no peace," he said, "if another nation makes the threat of war its national policy." 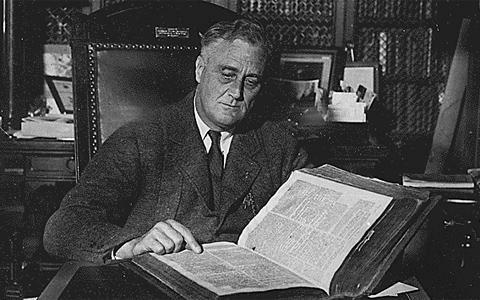 FRANKLIN ROOSEVELT: "There can be no peace if national policy adopts as a deliberate instrument the threat of war. There can be no peace if national policy adopts as a deliberate instrument the dispersion all over the world of millions of helpless and persecuted wanderers with no place to lay their heads. There can be no peace if humble men and women are not free to think their own thoughts, to express their own feelings, and to worship God. There can be no peace if economic resources that ought to be devoted to social and economic reconstruction are to be diverted to an intensified competition in armaments." Roosevelt and much of the American public continued to hope that the United States could stay out of foreign conflicts. But increasingly, they understood that war might come. And they began to prepare for possible hostilities. Following the Munich agreement, Roosevelt requested a large increase in the defense budget. He asked Britain and France to buy arms from American manufacturers to give those companies more experience in producing weapons. And he helped bring about an agreement among nations in North and South America to join together to oppose Fascist threats to peace and security. Finally, Roosevelt tried to get Congress to change the neutrality laws. He wanted more freedom as president to resist Fascist aggression and help Britain, France, China, and other friendly nations. Congress, however, continued to resist such changes. But events in early nineteen thirty-nine showed that war was on the way. Germany occupied Czechoslovakia and then Lithuania. Franco's forces took control in Spain. Italy invaded Albania. And then Hitler began making demands on Poland. In August, Germany and the Soviet Union announced to the world that they had signed a joint defense agreement. Two days later, Britain and France declared war on Germany. Germany's invasion of Poland, and the beginning of the war, presented a giant challenge to the United States. On the one hand, almost all Americans supported the European democracies opposing the aggression by Hitler, Mussolini, and other Fascists. But on the other hand, Americans had no desire to fight in what might be a long and bloody war. The following months would force Americans of all political beliefs to consider this problem. It would be a final period of peace for the United States before events once again drew it into a terrible world conflict. STEVE EMBER:Our program was written by David Jarmul. You can find our series online with transcripts, MP3s, podcasts and pictures at www.unsv.com. You can also follow us on Facebook and Twitter at VOA Learning English. I'm Steve Ember inviting you to join us again next week for The Making of a Nation - American history in VOA Special English.